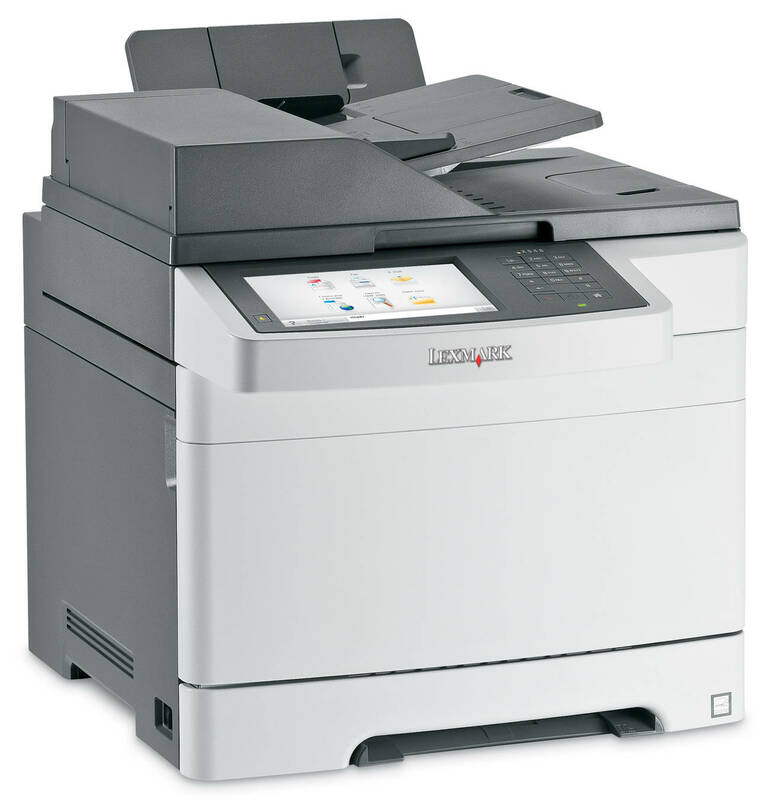 The Lexmark X548de is a multi-purpose laser printer that can print, scan, copy and fax. It has a total input capacity of up to 1,450 sheets if using all of the supported multi-paper types. Another great feature is the automated document feeder, which allows you to scan up to 50 sheets. Designed for mid-sized businesses, the Lexmark X548de, can manage advanced colour printing needs, as well as offering various security features, ideal for business use. Measuring 463 x 440 x 597mm, it also has Ethernet connectivity, an 18 cm touch screen with easy colour coded navigation icons, and 512 MB of memory. Able to deal with a variety of needs, including scanning, copying and faxing, offering a good print speed (25 pages per minute) and Ethernet connectivity the Lexmark X548de is great for business needs. While the 50 sheet duplex ADF is a great time (and money) saving feature. The Lexmark X548de lacks a finisher, meaning it can't handle the more complex business tasks such as stapling and hole punching – this may put off larger businesses. However, this shouldn't be too much of a problem for small/mid sized businesses that don't print as regularly, or need to collate as many documents.